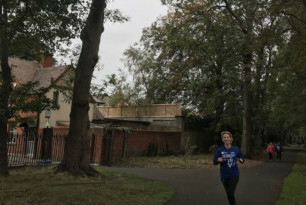 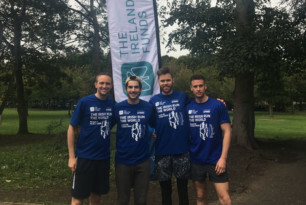 On a crisp autumn day, the Dublin Young Leaders took to Herbert Park for their leg of the Global5k. 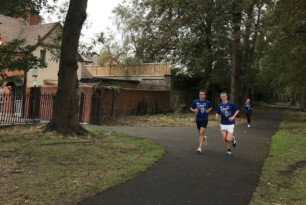 Over 60 Young Leaders attended the 5k, most of whom ran, but others supported their friends along the 5km route. 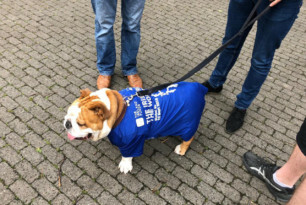 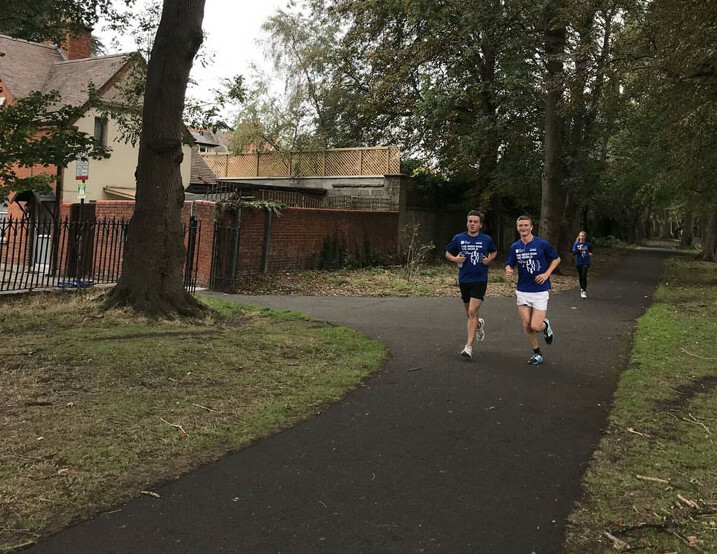 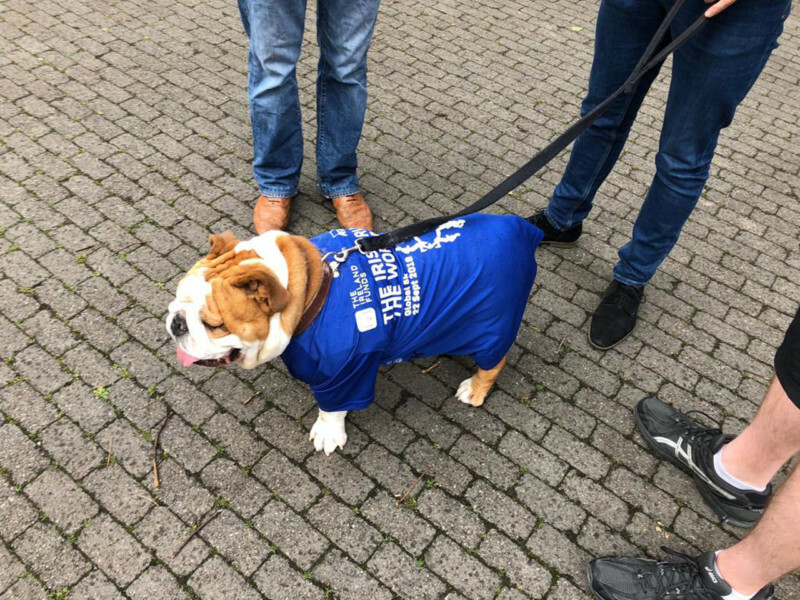 The finish-line was easily crossed by Joe Roche, (Blueface), followed swiftly by Ronan Lowe, (KPMG) and Jack Drea, (Dublin Young Leaders committee). 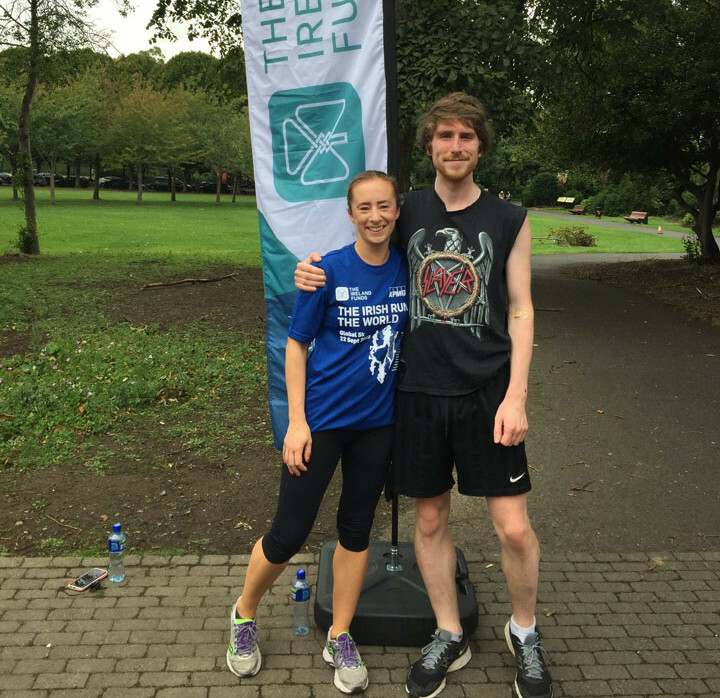 The first woman across the line was Aoife McClure, who sailed across despite her assurances that she wasn’t racing! 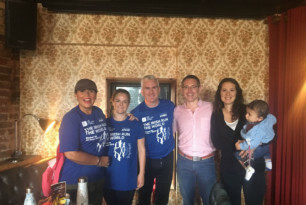 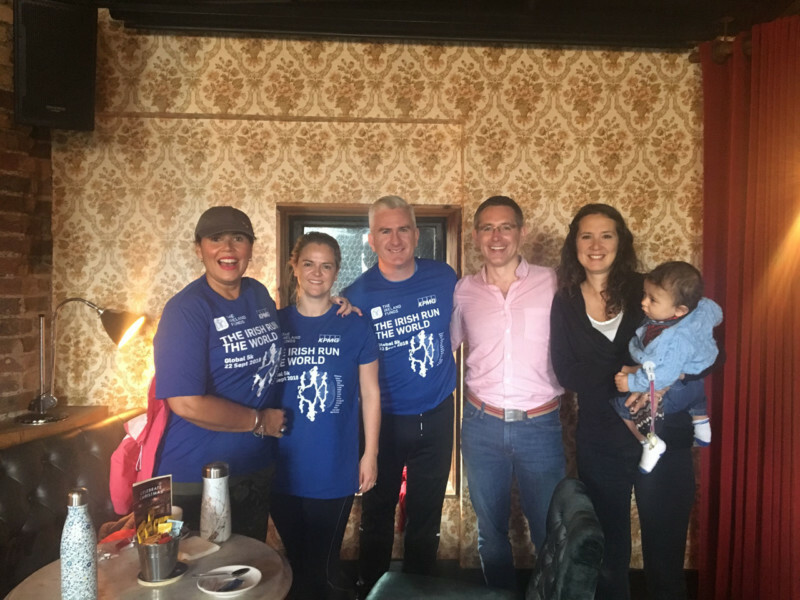 The run merriment began at the finish line and continued into The Bridge 1859 who hosted the runners and supporters for after-run refreshments in its restaurant in Ballsbridge. 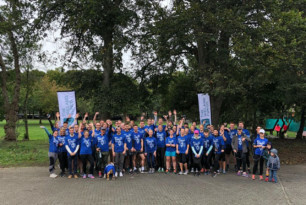 An energetic and fun day was enjoyed by all. 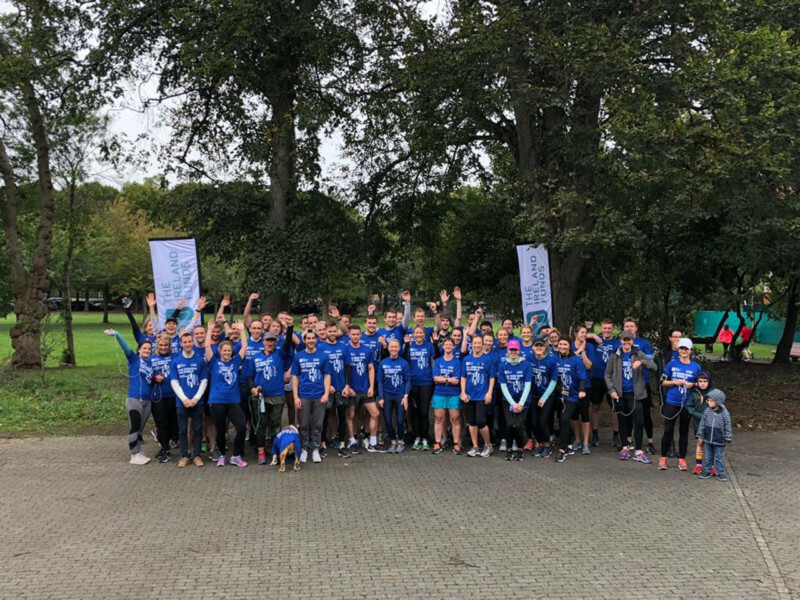 Particular thanks to our local sponsors and hosts, The Bridge 1859, and RiverRock for keeping us hydrated, and of course to the presenting sponsor KPMG who had a number of runners with us on the day . 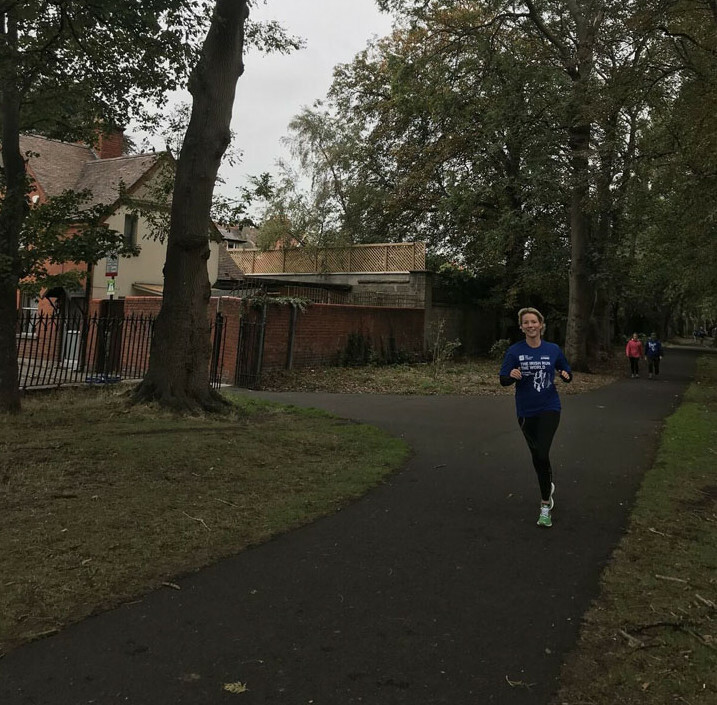 Following the run, we’ll be going to the Bridge 1859 – just beside Herbert Park, for some after-run fun! 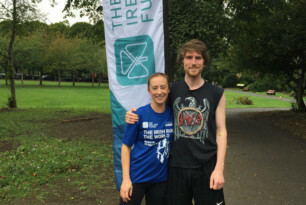 Support the event by registering to run or walk the 5k, coming along to our after-run event, or by making a donation. 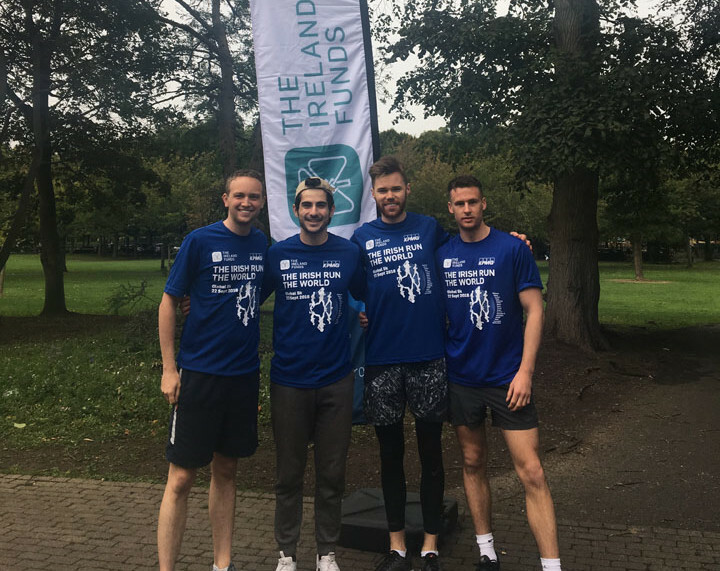 Proceeds will support the work of The Ireland Funds in assisting charitable causes on the island of Ireland.